At CULT VISION we curate an exclusive collection of eyewear. Original frame designs, made from the best quality materials and the finest craftsmanship. WHITE LABEL, VINTAGE, INDIE, CULT, ARTISAN and INSPIRED. We are constantly discovering new talent and refreshing our collections. Our prices are completely transparent and very competitive. We provide friendly and relaxed professional services. We like to have fun and drop the formality but not at the expense of high standards. That’s our way. Our name comes from a love of inspired culture. Great value through scaled production. Free from any external branding with no compromise on quality. Designed and produced with fast fashion in mind. Click here to see WHITE LABEL eyewear. From 1900 to 2000 this eyewear has stood the test of time. Great designs carefully chosen and restored by hand. Sourced from all sorts of weird and wonderful places around the world. Eyewear with a true identity. Designed and produced by independent eyewear makers. Edgy and original designs, great quality materials. Well made with a superior finish. Our eyewear is chosen from a handful of independent, carefully selected, design and craft-led designer makers and brands. All of the makers and brands that we work with have the creative freedom to make the eyewear they want without limits and without losing their passion. They all work in an environment where they can be enthusiastic and enjoy what they are doing which of course is reflected in the eyewear they make. There is always a story behind the eyewear we curate. In most cases the story begins with designer makers forming friendships, connections and collaborations these lead to partnerships and ultimately to the creation of something special. They all love creating and re-inventing classic designs, we like to discover them and are even working on our own original designs. The raw materials used and the level of craftsmanship that goes into all our eyewear is second to none. We want to be proud of what we make and what we sell. Design and craftsmanship together are important, it’s no good having one without the other, so we ensure that all of the makers and brands we curate have an eye on both. We like making the experience of having your eyes examined or checked a pleasant one. There is no need to be aloof or pushy, we like to be affable. Our eye tests and consultations are thorough, we don’t like cutting corners and we take the time we need to do it well. We can supply any contact lens and the price remains the same for delivery anywhere in the UK most lenses are next day delivery. We only use ZEISS lenses in the glasses we make, the technology and precision that goes into their lenses is the best in the business. Would you like to know which Zeiss lens solution would suit you best? Fill in the ZEISS My Vision Profile for a clearer picture! 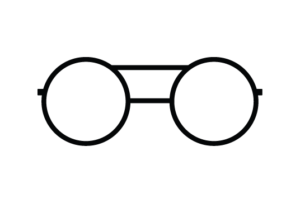 For every pair of glasses there are three components: the eye test, the lenses and the frame. We offer all three either separately or for inclusive, complete, package prices. All of our complete prices include a very generous discount. If you have your eye test separately with us and return later to buy our complete eyewear we’ll deduct the price of the eye test from the complete price. We compete on price without compromising our standards. We curate an exclusive collection of cult eyewear brands; original frame designs, made from the best quality materials and the finest craftsmanship. Our prices are completely transparent and very competitive. We provide friendly and relaxed professional services; eye tests, eye health consultations, contact lens consultations and the best spectacle and contact lenses on the market.